Dr. Sebastian Bruns and Dr. Sarah Kirchberger have commented on the significance and wider implications of the recently concluded Sino-Russian naval exercises in the Baltic Sea. 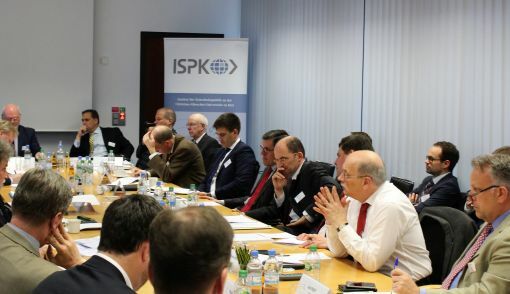 On March 10, 2017 the ISPK held a joint workshop with the RAND Corporation, Boston on “Cross-Domain Deterrence in Europe: Challenges and Options” at the Aspen Institute in Berlin. Dr. Sebastian Bruns was interviewed by Deutsche Welle, the international TV and radio program of the Federal Republic of Germany, on the subject of maritime security in the Central Mediterranean. Among other things, he underlined the need for a EU Coast Guard." Dr. Sarah Kirchberger provided background information and assessments for a piece by Taipei-based defense correspondent Wendell Minnick. Dr Sarah Kirchberger opened this year's Maritime Convention with a keynote speech on China's global maritime presence. The event took place at Berlin. Keynote Speech at the International Workshop "China’s ‘One Belt, One Road’ Global Strategy"
19.01.2017: Dr. Sarah Kirchberger was invited by the Department of Culture and Global Studies der University of Aalborg, Denmark to hold an opening speech at an international academic workshop on China’s OBOR-Strategy that brought together a diverse group of European and Asian researchers. On 20th June 2017 the ISPK organized in cooperation with the Center for Navals Analyses (Washington, D.C.) the inaugural Kiel International Seapower Symposium. More than 80 experts from academia, government and military discussed the highly relevant subject of maritime security challenges in the Eastern Mediterranean. The key aspects the four panels had addressed were i.a. 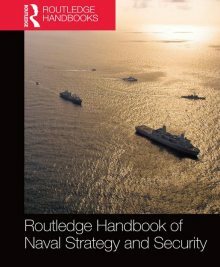 the economic and strategic value of the Eastern Mediterranean, the contemporary maritime security challenges among the local players, the regional powers and their competing interests as well as the prospects for the regions future development. 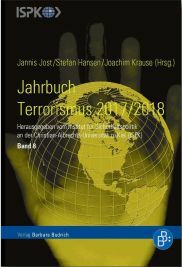 Dr. Sarah Kirchberger has published an analysis of Chinas military-industrial co-operation with Russia and Ukraine titled „The end of a military-industrial triangle: arms-industrial co-operation between China, Russia and Ukraine after the Crimea crisis” in SIRIUS 2017, Vol. 1 No. 2. 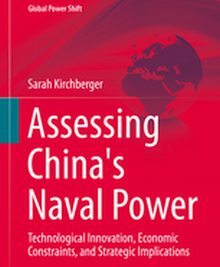 Dr Sarah Kirchberger was a speaker at this year’s RUSI Sea Powers Conference that discussed the Chinese Navy. Her presentation in the panel on ‘Chinese Military Milestones: Enabling Capabilities’ focused on the connections between China’s space and naval capabilities. Mercy Kuo (The Diplomat) interviewed Sarah Kirchberger on the arms trade relationship between China, Russia and Ukraine. Dr. Sarah Kirchberger was invited to speak at the 2017 TOChina Summer School at the University of Torino, Italy, on July 5th, 2017, joining a faculty of international specialists in modern China studies. Her presentation focused on China’s military modernization and its impact on the South China Sea and Taiwan issues. On 29 June, Dr. Sebastian Bruns presented a paper on "Maritime Aspects of Strategy" on the occasion of the 2017 Vienna Strategy Conference hosted by the Austrian Army. You can find his speech (in German, beginning at 30:00 minutes), at https://youtu.be/6NC3kbPsm_U. Dr. Sarah Kirchberger also presented a paper titled "Strategic Aspects of China’s OBOR Strategy" in the panel on strategy and international organizations and alliances on June 27th.